Chris Carey Advisors provides advisory services to improve financial performance, raise capital and assist in a sale, merger or acquisition. BROOKLYN, N.Y., April 3rd, 2018 …. Chris Carey Advisors has been named “Turnaround Consultant of the Year” by M&A Advisor, the renowned leadership organization for restructuring, M&A and financing professionals. The Brooklyn-based financial and business advisory firm joins Ernst & Young, JP Morgan, KPMG, Morgan Stanley, PNC, Raymond James and Wells Fargo, among others, in the 12th Annual M&A Advisor Turnaround Awards program. Chris Carey Advisors earned the “Turnaround Consultant of the Year” award specifically for the firm’s recent turnarounds of Benco, Inc. (Fairfield, NJ), EZ Mailing Services, Inc. (Elizabeth, NJ) and a major real estate developer in Brooklyn, NY. Chris Carey, founder and CEO of the firm, also had been named “Chapter 11 Reorganization of the Year” by M&A Advisor in 2017; “Turnaround of the Year” by the Global M&A Network as the best value-creating restructuring transaction for 2016; “Entrepreneur of the Year” by New Jersey magazine; and “Small Business Philanthropist of the Year” by the Community Foundation of New Jersey. 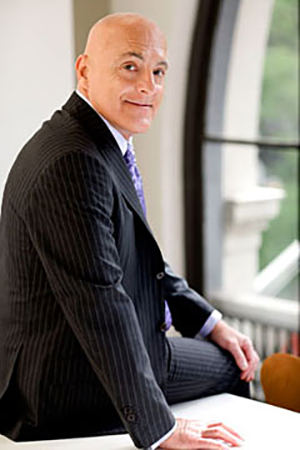 He has been featured in numerous business periodicals, including Business Week, Forbes, Inc., The New York Times and The Wall Street Journal, and is a frequent speaker at high-profile industry and business conferences. BROOKLYN, N.Y., May 29, 2018 /PRNewswire/ — Chris Carey Advisors assisted the CEO of a $200M revenue NJ Contractor on his purchase of the majority ownership in the company. As part of the transaction, Chris Carey Advisors secured purchase and working capital funding from a prominent international bank. The CEO and his family had a minority position and with this transaction now own all of the outstanding shares of the company. Chris Carey Advisors played a key role in establishing the valuation, structuring the purchase and raising the necessary capital. The Brooklyn-based financial and business advisory firm recently earned the “Turnaround Consultant of the Year” award specifically for its recent turnarounds of Benco, Inc. (Fairfield, NJ), EZ Mailing Services, Inc. (Elizabeth, NJ) and a major real estate developer in Brooklyn, NY. During a key in-court moment in the bankruptcy case we received a text reporting their largest customer, representing 45% of revenues were cancelling their agreement. The team took the news badly and sensed their legal case would be lost.